8ZH: Antennas: Antenna for AM/FM reception, "diversity"
8AI: Radios: Radio "RCD510 MP3"
0NW: Nameplate set: Nameplate set "TSI"
The present owner having owned the car for all but for the first 6 months. It has been bought, sold and serviced in Beadles (WV main agent) in Dartford from day one. It even has the Beadles window sticker and number plates. With all the MOT's and seven service's carried out by Beadles and stamped in VW service book. 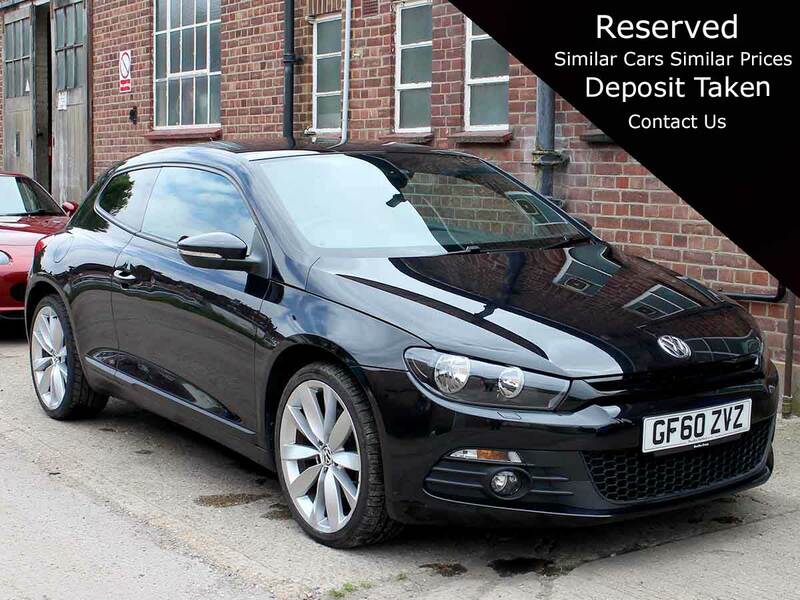 All hand books, receipts, MOT's and even the original Sirocco sales brochure come with the car. Coupled with an excellent spec, great pedigree and very low mileage for it's age this car is well worth a look. You won't be disappointed.